Manufacturers of portable and mobile walkie talkies, plus repeater units. Manufacturers of walkie talkies, NEXEDGE, PMR446 and Ham Radios. Manufacturers of the advanced miltary two way radio products. Your one stop accessory shop for truck, lorry, car, motorhome, 4x4, off-road, campervan and camping products and accessories. 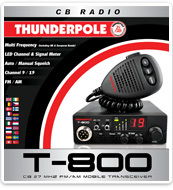 West Midland CB shop based in Kidderminister, with a large range CB Radios & all accessories. 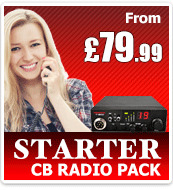 Devon based radio shop, with a large range CB Radios, PMR Radios & all accessories. 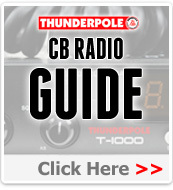 Please note, Thunderpole cannot be held responsible for content of external websites.